People who attend Winona Gospel Church come from many different experiences and backgrounds. Some come with no church or religious background at all. Through various circumstances, the Lord has brought them to attend WGC. We are an evangelical church, a fellowship of believers in Jesus Christ, who are indwelt by the Holy Spirit, and our primary purpose is to tell others about Him. 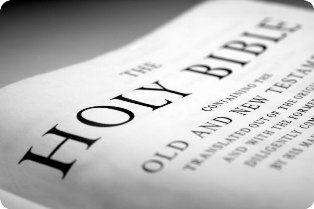 At the core of our beliefs is the Bible, which we believe has been given by God to reveal all we need to know about Him. With that foundation, listed below are: The AGC Contemporary Statement of Faith followed by the AGC Comprehensive review of what we believe the Bible teaches. We believe that the Bible is God speaking in man’s language, and in the original writings is exactly as He gave it, word for word without any error whatsoever. It has been preserved by God to be the authoritative standard for every age and every life. We believe that Jesus Christ in the flesh was both God and man, that he was born of a virgin and that He lived a sinless life, in which He taught and did mighty works and signs exactly as revealed in the four gospels. We believe that He was crucified, dying as a penalty for our sins and was bodily raised from the dead on the third day as the Scriptures declare. Later, He ascended to heaven where He is Head of the Church and interceded for believers. From there He will come again personally and bodily and visibly to this earth to set up an earthly kingdom, afterward to reign forever as King in His universe. We believe that since in His death the Lord Jesus Christ satisfied all the demands of God’s law, redeeming mankind by shedding His blood and assuming our curse, men and women can have a just standing before God. That is, they can become true Christians. The single basis for this standing is the death of Jesus Christ and an individual’s personal faith in Him. We believe that salvation with its forgiveness of sins, includes the receiving of a new nature and the assurance of eternal life. It is entirely apart from good works such as baptism or church membership, but is purely by God’s grace. 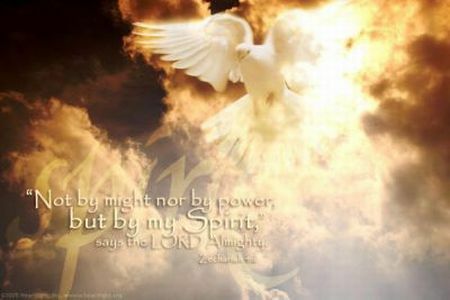 We believe that the Holy Spirit is a person, that He is God and has all the attributes of God. We also believe that He lives in all believers and that by His ministry every Christian is made to be part of God’s eternal family, is marked off as truly God’s possession, and is specifically and uniquely gifted for Christian service. The Holy Spirit also fills or empowers the believer, in response to confession of sin and yieldedness, then He teaches and guides the believer for effective Christian service. We believe that all genuine believers are part of the true Church, which in Scripture is referred to as the body of Christ, and that a local church is intended to be a visible expression of this body. We believe that Christians who die, depart to be with Christ in conscious blessedness. Someday Jesus will come again to take away His living people from the earth. Then, all Christians will have glorified bodies similar to His resurrected body and share in His glory. They will reign with Him forever. To be interpreted as expressed in and according to the Natural and Literal meaning of the respective passages of the Word of God referred to under each Article. We believe the Holy Scriptures, both Old and New Testaments, as originally given by God are divinely inspired, without error, entirely trustworthy, and constitute the only supreme authority in all matters of faith, teaching and behaviour. 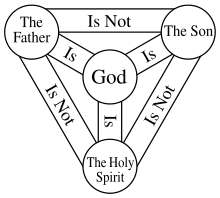 We believe that the Godhead eternally exists in three persons, the Father, the Son, and the Holy Spirit; and that these three are one God, having precisely the same nature, attributes and perfections, and are worthy of precisely the same homage, confidence and obedience. We believe in the essential deity of our Lord Jesus Christ and His total humanity through the virgin birth, and that all the Scriptures from first to last center about Him, His person and work, His sacrificial death upon the cross and His coming again. We believe that the Holy Spirit is a divine personality–the eternal third Person of the Trinity–who is now, throughout this Age of Grace, here present in the true Church, having been sent for the express purpose of revealing Christ Jesus to the members of the Church, that they may be comforted, instructed, and built up in their most holy faith, and to the world that sinners may be convicted of sin, of righteousness and of judgment. We believe that human beings, originally created in the image and after the likeness of God, fell from their high and holy estate through disobedience, by eating the forbidden fruit, and in consequence, the threatened penalty of death was then and there inflicted, so that they totally lost all spiritual life, becoming dead in trespasses and sins, and subject to the power of the devil. We believe that this spiritual death, or total corruption of human nature, has been transmitted to the entire race of human beings, the man Christ Jesus alone excepted; and hence that every child of Adam is born into the world with a sinful nature. We believe that our redemption has been accomplished solely by the blood of our Lord Jesus Christ, who was made to be sin, and made a curse for us, dying in our place, a Sacrifice acceptable to God and effectual for every sinner who receives Him. We believe that all the members of the body of Christ are “sanctified ones” (saints), are perfected as to their standing forever by the one offering of the blood of Christ, and are one with Christ in sanctification. As to their state, they may be sanctified by the Word, by the blood of Christ, and by the in-working presence and power of the Holy Spirit which should issue in behaviour indicating the fruit of the Spirit. We believe that when the Holy Spirit came upon the whole company of believers on the Day of Pentecost as promised by Christ, they were collectively baptized into one body, which was the birth of the Church, the Body of Christ. Since that time this baptism occurs individually at the moment of salvation, at which time the believer is also indwelt by the Spirit.We believe that the New Testament distinguishes between being indwelt by the Spirit, which is true of all believers, and being filled with the Spirit, which is the believer’s privilege and duty, producing power in Christian witness. There is one baptism with the Spirit, and it is into the Body of Christ, but there are many fillings. We believe that the Holy Spirit administers spiritual gifts to the church to glorify Christ in the building of His body. 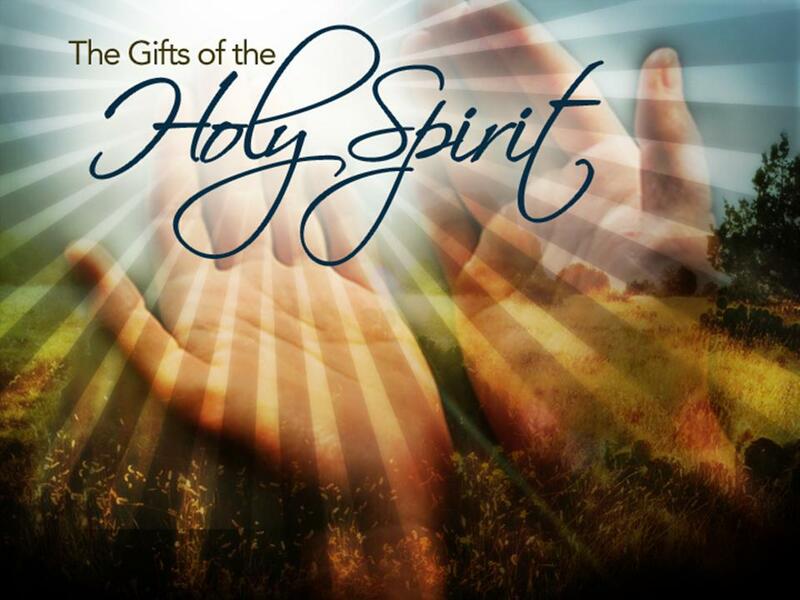 We believe that God, the Holy Spirit, is sovereign in the bestowing of His gifts for the perfecting of the saints for the work of their ministry, and that it is not God’s will that any one gift should be given to all believers, although all believers have at least one gift.We believe that whenever spiritual gifts are exercised, they should always be within the limits expressly given in the Scriptures (e.g. I Corinthians 14:23-40). We believe that in the early church speaking in tongues (a human language unknown to the speaker), and the working of miracles were sign gifts demonstrated primarily to authenticate God’s revelation through the apostles and the baptism of the Holy Spirit. We believe that today such signs are not necessary to give evidence of the baptism or of the filling of the Spirit, nor are they a mark of spiritual maturity. We believe that special divine revelation for authoritative Scripture ceased with the Apostolic Age. We believe that the Church is composed of all who are united by the Holy Spirit to the risen and ascended Son of God, and that “by the same Spirit we are all baptized into one body, whether we be Jews or Gentiles”, thus being members one of another and knit together in love. We believe that this present age will end with the coming of our Lord Jesus Christ, first to receive His Church unto Himself, and then to establish the throne of David upon the earth and to reign in righteousness over it for a thousand years. XVII. 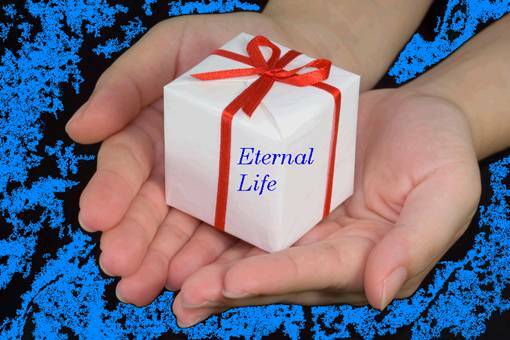 THE ETERNAL BLESSEDNESS OF THE SAVED, AND THE ETERNAL PUNISHMENT OF THE LOST. We believe that the attitude either of reconciliation or enmity toward God is fixed eternally at death, and that the saints of all the ages will be forever with the Lord and will become joint heirs with Him as their Redeemer in His inheritance. We further believe that there is an appointed day for the judgment of the wicked when they will be cast into the Lake of Fire, there to remain forever and ever, in varying degrees of torment according to their works. We believe that Satan is a person, the father of lies, a murderer from the beginning and the great deceiver of all nations; that he will be overcome by the Lord Jesus Christ, as the Seed of the woman, and cast into the Bottomless Pit for a thousand years, and finally committed to the Lake of Fire with all his angels to be tormented forever and ever. We believe that divine healing of the body is not in the Atonement in the sense that salvation and forgiveness of sins are in the Atonement. The suffering and death of Christ according to the New Testament was substitutionary, penal and vicarious. It is nowhere taught in Scripture that Christ died for the effects of sin but for sin, and sickness is directly or indirectly the effect of sin. We believe that the New Testament clearly prescribes baptism for believing disciples as a symbol and proclamation of the believer’s death to sin and resurrection to new of life. Further we believe and practice immersion as the mode of baptism prescribed by the New Testament in accordance with its word meanings, examples, and symbolism. 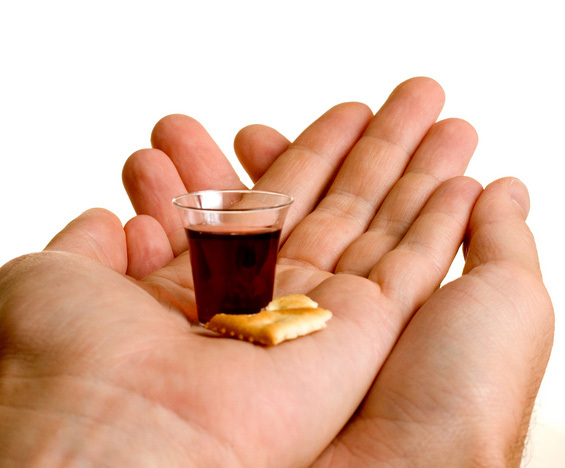 We believe that our Lord and Saviour clearly prescribed for His believing disciples the solemn rite of the Lord’s Supper as a memorial of the Lord’s death to be kept by His disciples until He comes again, according to His promise and the Father’s revealed plan.